Maybe he wanted that part? 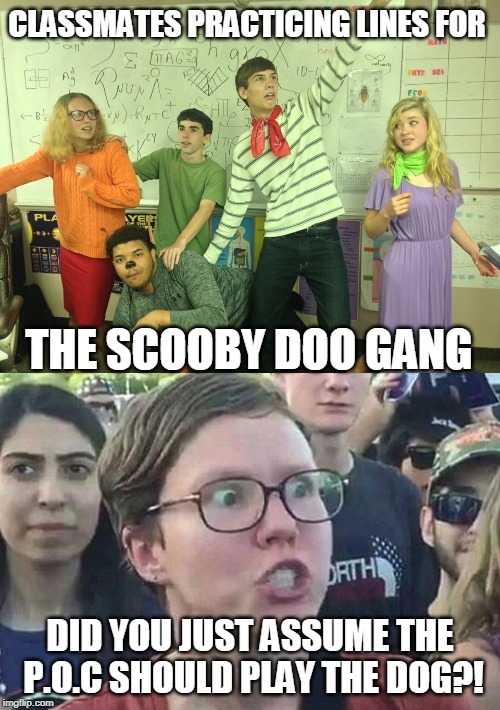 CLASSMATES PRACTICING LINES FOR; THE SCOOBY DOO GANG; DID YOU JUST ASSUME THE P.O.C SHOULD PLAY THE DOG? !